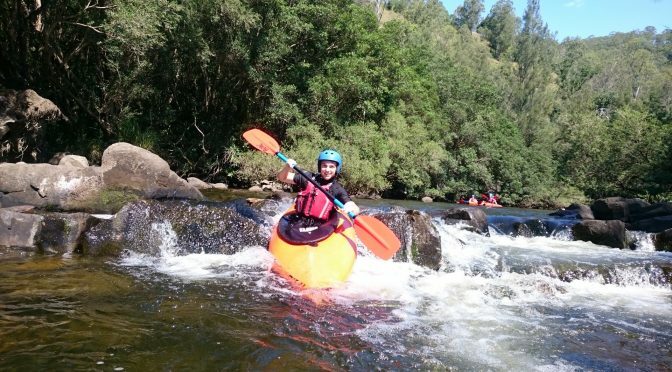 White water paddling is what we’re famous for! We operate our adventure tours and packages year-round, subject to availability. Check the list here for featured tours coming up soon or call us on 02 6558 2093 to ask about dates that suit you. The water levels in the Barrington River determine our paddling tour departures so we never complain about rain events, even if there’s been a little too much (because then we get to deploy our rubber rafts instead, which are great fun!). Daily updates of the Barrington River level at Rocky Crossing are shown on the home page.